Limit 1 per person and 1 per transaction. Valid toward books only. New customers only. Promotional value expires 365 days after purchase. Get inspired with this deal for 50% off books from Meek Records in Chatham ($20 value). This gospel music label and store offers an array of books on topics like family values, faith and more. Meek Records was started 17 years ago by Maple Reddick, who was inspired by the legendary Reverend Clay Evans. She started Meek Records in order to promote gospel music and share her devotion and passion with others. Meek Records provides a large collection of music from both local and international artists as well as a variety of greeting cards, herbal teas and perfumes. 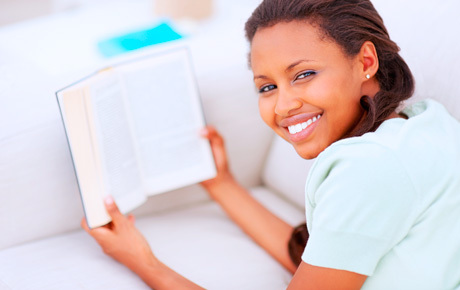 Find the perfect book for quiet reading or for your next book club meeting at Meek Records.